Friday and Saturday of this past weekend was spent in Detroit with 2 of my best friends. So much fun! Tiree and I had Jack and Abigail with us and we did some shopping. We went to Trader Joe’s and Whole Foods Market. A-M-A-Zing! 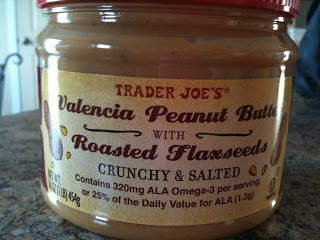 Trader Joe’s is a mostly inexpensive grocery store with no preservative foods. They have a lot of Organic also but mostly just all natural foods. I decided to buy some groceries and take them home. So Glad I did! Whole Foods Market is an Organic grocery store that was fantastic. It was huge inside and I could have spent hours there!! Anyways, here are a couple things I got that I am very happy about and wanted to share. I have found a new love for Hummus. My hubby actually likes it too…double bonus! But this sucker is yummy and has like 5 ingredients in it. 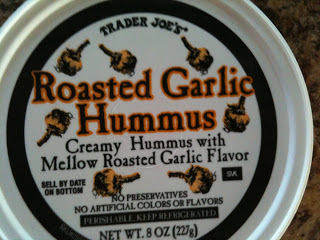 I have not found hummus around here without any preservatives. I put it on our chicken wraps with salsa yesterday. Delish!